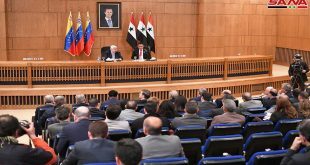 New Delhi, SANA-Deputy Prime Minister, Foreign and Expatriates Minister Walid al-Moallem affirmed that Saudi Arabia’s financial and military support to the terrorists in Syria will hamper international attempts to resolve the Syrian crisis. 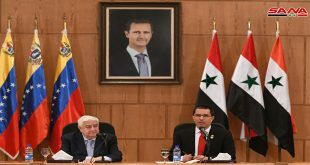 In an interview with Sputnik News Agency, al-Moallem said in reply to a question about the tensions between Tehran and Riyadh as saying that these tensions will have an adverse impact on the Syrian crisis settlement, since the Saudis will enhance both military and financial support to terrorists and will attempt to disrupt the Geneva conference. 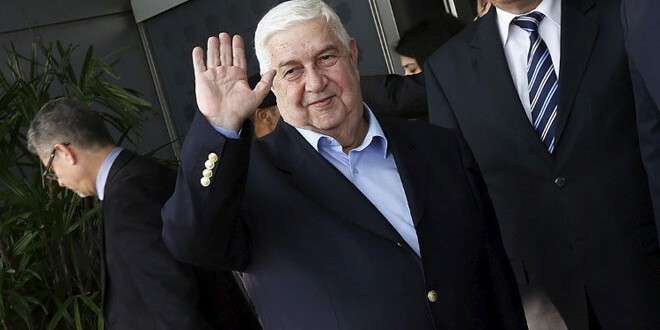 Al-Moallem stressed that, while pursuing an ambitious goal of reviving the Ottoman Empire and, therefore, letting terrorists pass through Turkish territory on the way to Syria, Turkey’s leaders underestimate the possibility of the extremists’ return to the country. “The Turkish authorities opened the border to the terrorist groups coming to us from one hundred countries… Erdogan never learned the lesson that these terrorists will come back to him. And his ambition of rebuilding the Ottoman Empire, I tell you frankly it’s an illusion,” al-Moallem said. The minister stated that Turkey has opened a training camp for the terrorist groups and has been receiving money from Saudi Arabia, Qatar and some other countries to arm them and, subsequently, send to Syria. “If these neighboring countries, Turkey, Saudi Arabia and Qatar implement the Security Council resolution to counter terrorism, 70 percent of our crisis will be finished and the 30 percent I promise you to end them before the end of this year,” he stressed. “We used to produce five years ago around 400,000 barrels of oil, we consume inside Syria some and we export some. Now this oil is stolen by ISIS and sent to Turkey,” the minister added. 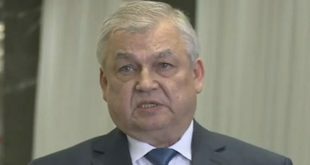 He affirmed that due to the coordination between Russian Air Force and Syrian Arab Army “we succeeded in achieving triumph in many areas in Syria”. 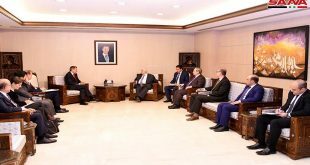 On 13th of January, al-Moallem affirmed in a press conference in New Delhi that the military cooperation between Syria and Russia to fight terrorism has achieved remarkable results, adding that the battle against terrorism is also Russia’s battle because there are thousands of Chechens fighting alongside ISIS in Syria.